I get a ton of questions about how I keep our basic household running. Homeschooling certainly takes up quite a bit of time and so that means that we need a good schedule to keep up with our crazy schedule! 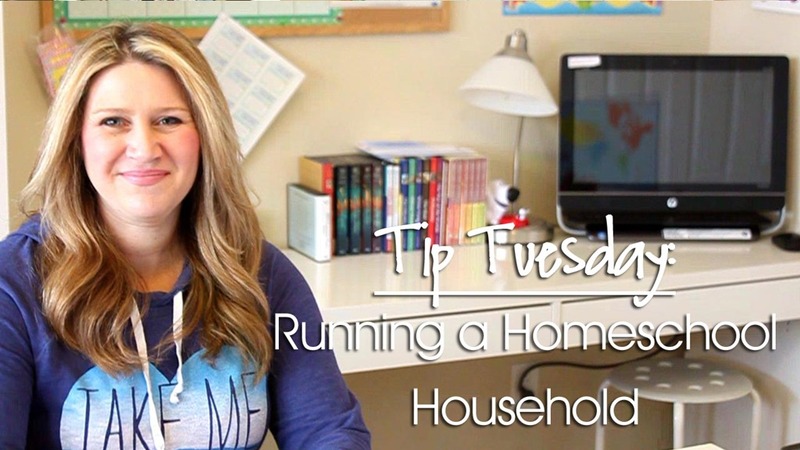 So make sure to stop by today’s Tip Tuesday video to see how I organize our day and get everything else done too! 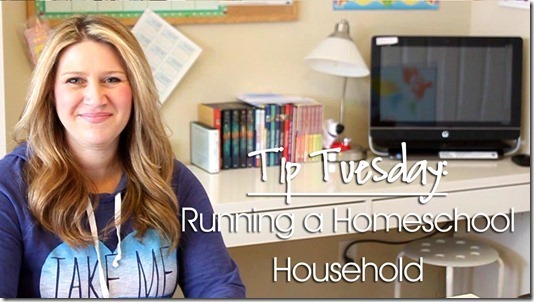 Watch today’s Tip Tuesday: Running a Homeschool Household here! Freezer meals are a great helper during school months! Yes!! Please do a video on working and homeschooling. Hi Erica! We are a new homeschooling family for the 2016-2017 year and have found so much wonderful information on your blog. I purchased Expedition Earth a couple of days ago and am so excited to use the curriculum (the video was REALLY helpful in learning how to set up our binders)! I have been looking for months for a Homeschool Planner and stumbled upon yours in your shop when purchasing Expedition Earth; it has everything I’ve been looking for! Do you plan to make an updated 2016-2017 version? Thanks again for all of your valuable resources! Do you have any suggestions for how to plan for the school year when mom has a chronic pain condition that flairs up unpredictably? I find planning several weeks in advance doesn’t work. If I miss a day, week or month, it messes the whole thing up! Thankfully, I have a rising 7th grader who’s pretty independent, but I still need to follow up with her. I also have a rising Kinder. I know I don’t need to worry too much about her, but I do want to do stuff with her also. Looking into your K4/5 curriculum, just not sure if the reading will be too easy for her. I suppose a review won’t hurt her and we can move quickly if she’s bored with it. You might want to plan a week at a time or use something that can easily be edited like an online lesson planning software. Where you can just scoot things forward if you skip a day. I like that anyway because kids get sick, life happens, etc. I haven’t used it myself, but I’ve heard that if you use http://www.skedtrack.com it will automatically scoot lessons to the next day if you miss one. That also means that you need go in and check off your items each day. Thanks for the great tip!!! I love how your whole family contributes to the household and so agree with your thoughts on this!!! You are preparing them with lifelong skills beyond the academics!